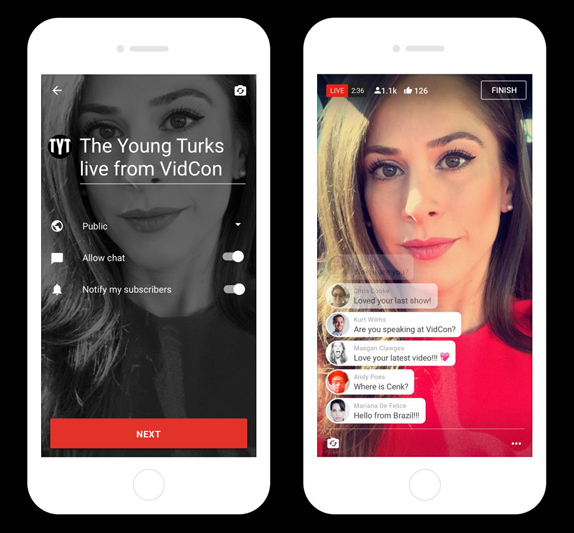 At the Vidcon event in California, YouTube announced plans to bring live streaming right into the main Youtube mobile app which means that the world’s largest video site will now take on FaceBook Live and Periscope. You need to just tap the capture button within the app, select a thumbnail, pick a title and you would go live. Live streaming is not new to Youtube and I actually watched YouTube CEO Susan Wojcicki and Kurt Wilms, Product Lead, Immersive Experiences at YouTube announce it on stage including a neat demo. The Vidcon conference itself is being live streamed on Youtube. The feature has existed since 2011 and has undergone major changes preventing mass adoption of the same by publishers. Currently Live broadcasting, of the kind used for conferences requires expensive equipment and not very portable. We at FoneArena love live video and we are actually excited about bringing more live content to our users. Our Xiaomi Mi Max Unboxing was actually streamed live from a Samsung Galaxy S7 Edge device which had an exclusive Youtube Live Streaming feature. Now the bad news is that the update is coming soon and is currently available to limited content creators. Hopefully FoneArena and every one of you should get the update and we can start broadcasting live video to Youtube. Until then let’s stick to Facebook , Periscope or our S7 Edge.